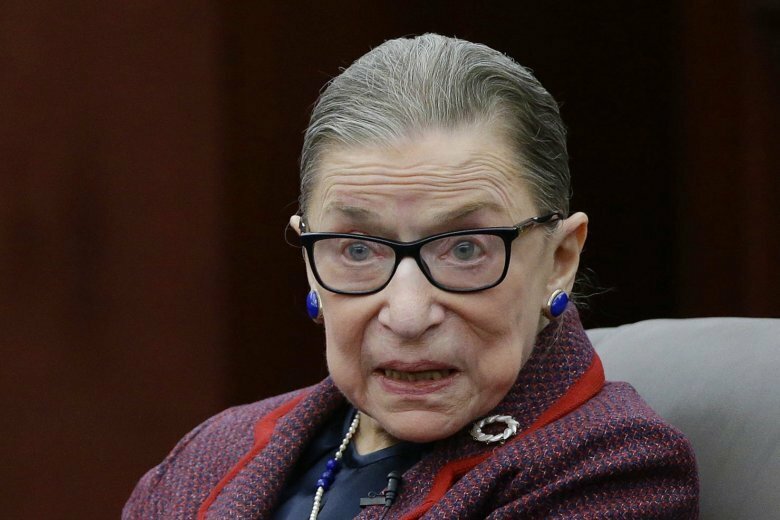 WASHINGTON (AP) — Now we know what Justice Ruth Bader Ginsburg was doing as she recuperated from lung cancer surgery: churning out opinions for the court at a faster clip than any of her younger colleagues. Eleven days before her 86th birthday, Ginsburg was in fine form as she announced two of the court’s three opinions on Monday. One of those was for a case argued in January, when Ginsburg was absent from the court while she recovered from the December surgery. Last month, on her second day back, Ginsburg wrote the court’s opinion in a case that could limit authorities’ ability to seize property from criminal suspects. The justice’s most recent health problems, her extended absence from the courtroom for the first time in her career and her age combined to fuel wild speculation online that Ginsburg was gravely ill or dead. Her appearance at a musical event last month put on by her daughter-in-law, an opera singer, only fanned the flames because the event’s organizers would not allow photographs. The justice has long had a reputation for speed, a talent appreciated by chief justices who like to get the court’s uncontroversial opinions out of the way as soon as is practical. Ginsburg has written four majority opinions this term, one more than Justice Clarence Thomas. Justice Samuel Alito has yet to author a majority opinion, though that may be an indication Alito is handling cases that have divided the court and produced dissenting opinions. The back and forth between the justices can take months. Ginsburg had surgery on Dec. 21 to remove a part of her left lung. The cancerous growths were found when Ginsburg underwent medical tests after she fell in her court office and broke three ribs in November. In two previous bouts with cancer, other broken ribs and assorted ailments, Ginsburg had never missed arguments in more than 25 years as a justice. But she stayed home for 11 arguments in January, although Chief Justice John Roberts noted that Ginsburg would take part in the cases based on written filings and argument transcripts. Her first opinion on Monday, in a 7-2 vote, sided with a railroad in a dispute with a worker over lost wages following an injury. In the case from January, Ginsburg wrote a unanimous opinion resolving a case about when a party can sue for copyright infringement. Rumors of her demise, it appears, were greatly exaggerated. And yet, there still are no pictures of Ginsburg in action because the Supreme Court prohibits cameras in the courtroom.